Little hands learn writing skills at an early age. Author at Work provides supplies and paper for our youngest writers (PreK – 2nd grade). These basic supplies open a world of possibilities and help our students discover the basic building blocks of writing. Every great author starts with the same tools at a young age—paper, pencils, and ABCs. 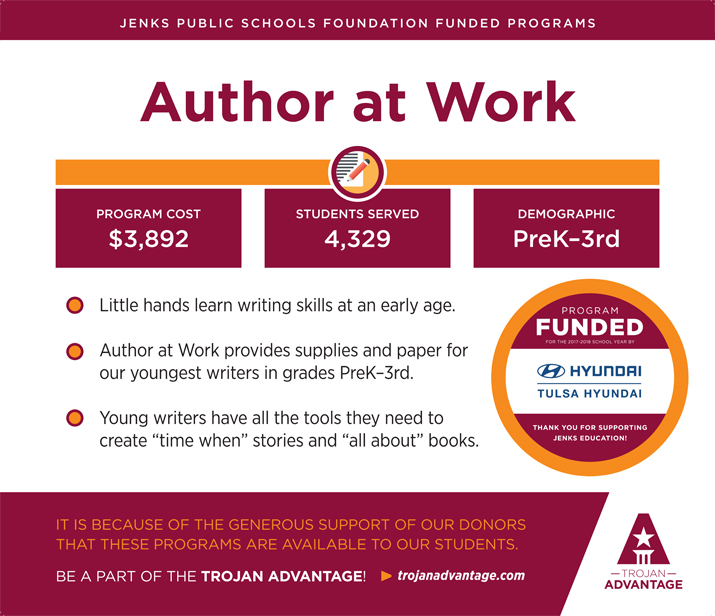 Our Author at Work program is here to introduce these tools and help the next generation of best-selling authors get their start!